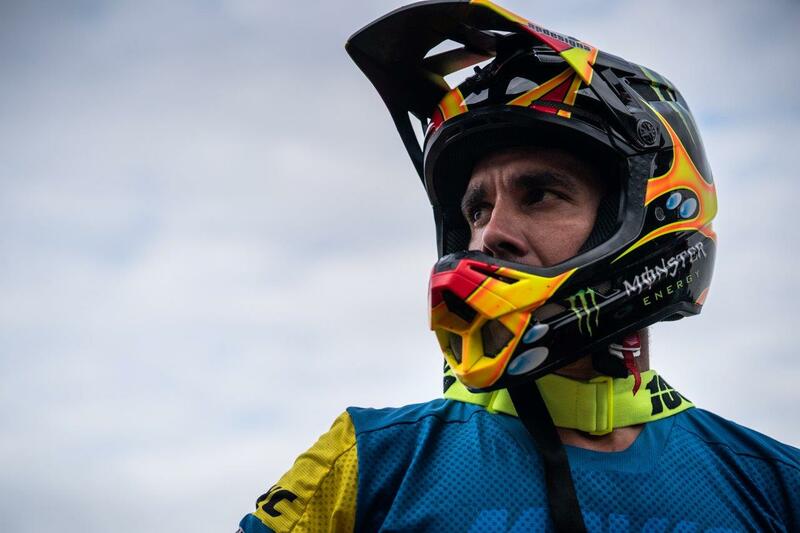 A number of crashes along with a bout of sickness meant the three-strong team of riders, including reigning champs Sam Hill and Elliott Heap (at U21 last year), along with Kelan Grant fell outside the podium spots. Round 1 of the Enduro World Series didn’t go quite to plan or as well as the start to the 2018 season, but that’s racing! If it was always easy it wouldn’t be a challenge. But watch out for Elliott this season, he has more to offer! Kelan Grant was also looking super strong and fast in practice and was really liking the tracks. He had three great stage results inside and around the top 30, but two cashes on two other stages dropped him down the rankings. But I have high hopes for Kelan once he puts it all together. As a true champion, however, Sam gave it his all with a fourth place on stage one and only a few seconds down. But then a big crash on stage two, right before an uphill section, meant he just didn’t have his usual strength to hold on when it gets wild. A few more crashes on stages, and racing with no energy, left the champ down in 13th at the end of the race but still an amazing result considering how he was feeling. Well done buddy. You’ll be back. We got so many positive comments from everyone. You can also catch-up with the team’s preparations and exclusive helmet-cam footage of their training runs with the link below.